Last month I received a Japan Crate subscription box to review for all of you. 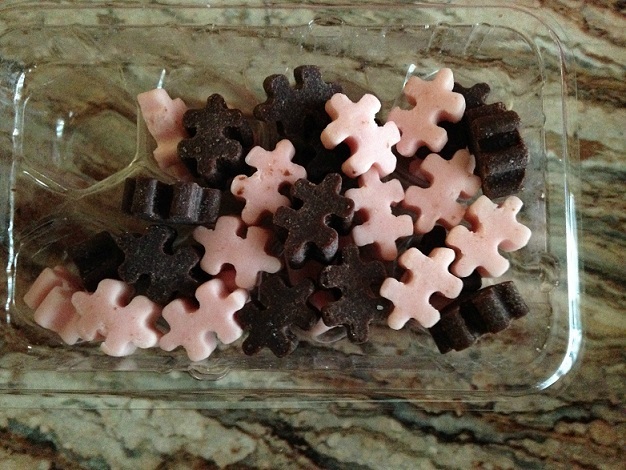 Every month They pick an assortment of fun and crazy candy, snacks and DIY kits from Japan and ship them to you. They have 3 different sized boxes you can get. 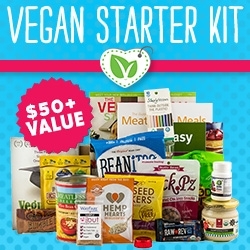 There is the mini which is $12/Month and you get 4-6 Candies , the Original which is $25/Month and you get 8-12 Candies and DIY Kits (1 DIY Kit Guaranteed) and Premium which is $ 30.00/Month and you get 10-14 Candies and DIY Kits and 1 drink (2 DIY Kits Guaranteed).The ship to any country, but if you are outside of the United States, your shipping will be an extra $10-$15, per crate, depending on which crate you purchase. Yes it came with a little manga style newsletter. I thought that was cool. 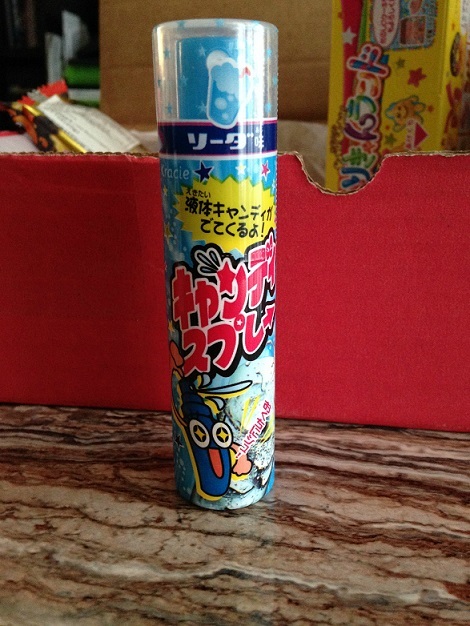 Fu Ramune Budo are grape ramune soda whistle candies. Both my husband and I really liked these but my dog didn't like it when we whistled. 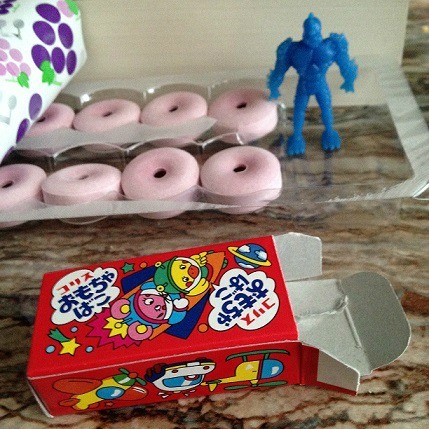 The candy came with a cute little figure. Arare Nori are rice crackers wrapped in seaweed. My husband didn't want to try these but I tried one or 2 and just didn't like them at all. 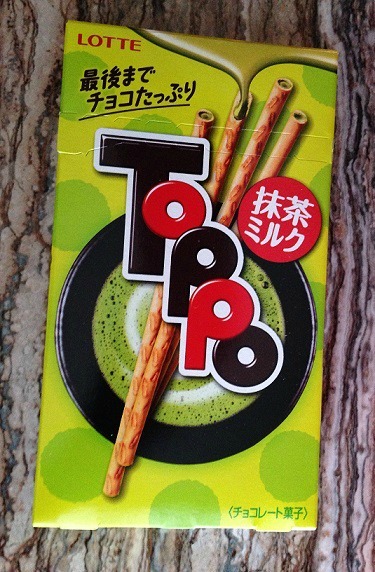 Toppo Maccha Milk. Theses are green tea filled cookie sticks. Both my husband and I loved these even though we aren't big fans of green tea. 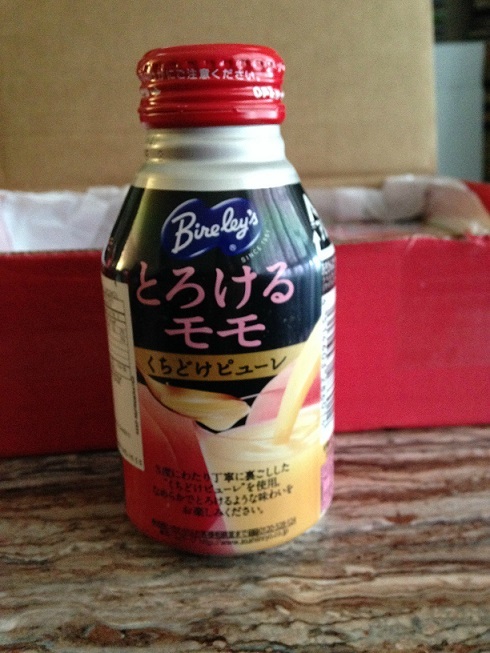 Spray Candy- This I wasn't fond of even though it was in soda flavour. 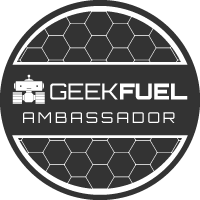 I think maybe teenagers might like it. Puchitto Kudamono- these little "feet" pull apart and tastes like strawberries. They are so good. 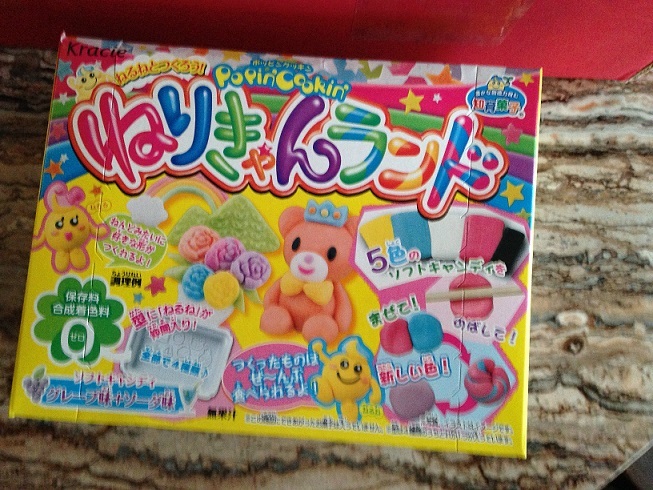 Nerikyan Land DIY candies kit - Sorry for the lack of photos of them made but I made then and forgot to take photos. These are the first DIY kit that I actually like. Popin Cookin! 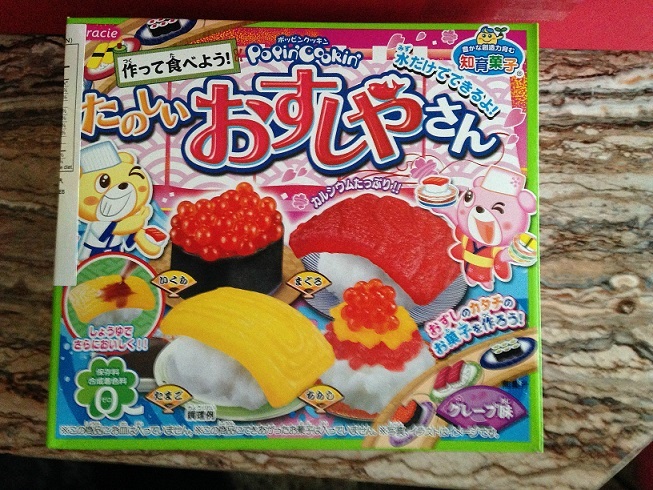 DIY Sushi Kit .No photos of made ones sorry. I just couldn't try them. Contains squid. 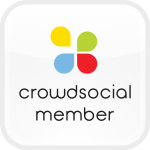 Do I recommend Japan Crate? Yes I do. 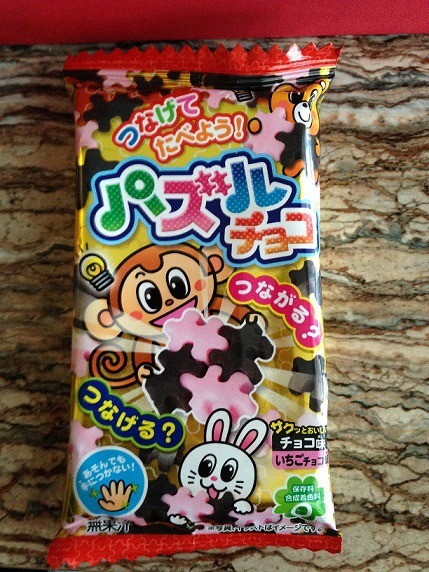 If you love trying out different candies/snacks from Japan then I highly recommend this.